Half of all food produced in the U.S. is thrown away in a landfill every year (globally, about one third). 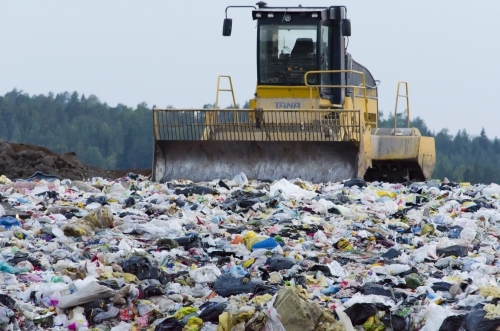 Landfills are filled with food waste which breaks down into methane, a greenhouse gas 23 times more potent than C02, and they also create leachate which contaminates ground water. As a result, the cost of food waste disposal is on the rise and increasingly cities are becoming regulated towards zero organic waste to landfill. With these growing risks, there has never been a better time to invest in on-site waste management infrastructure. The Solution? Commercial Food Waste Dehydration. The Hungry Giant is the leading original equipment manufacturer of food waste recycling machines with feature benefits that outclass the field. 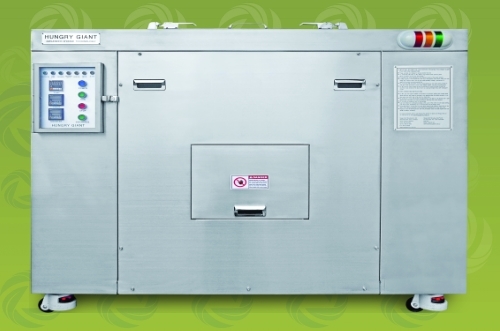 Hungry Giant food waste dehydration systems, engineered by Resource Environmental Solutions in Sydney, Australia and distributed in Canada by Canasco, offer all food service sites an economic solution to managing their food waste. This technology provides the most efficient solution in the food waste processing market for customers seeking to improve their bottom line.